I didn’t have success with this recipe :( The whole pie was cooked except the bottom crust was soggy and raw. I made this yesterday for a dinner party and it was a huge hit! I admit I used a store bought crust, and I somehow totally forgot to add the cider, and it still turned out amazing!! I am making it again next week for my family. This looks great! 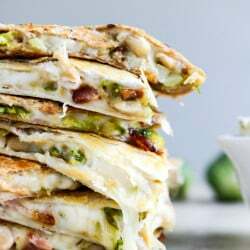 Will be making it soon. 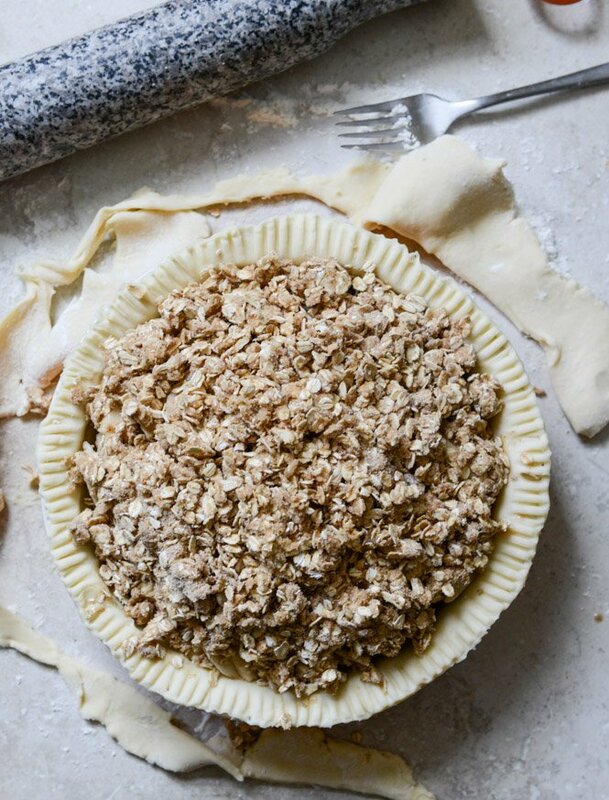 Is the filling and crumble enough for 3 pies or just 1? Thanks! I apologize for saying that I am a pie person. (But my sister will always be a better pie person so you can feel bad for me about that.) I’ve made this pie a few times and the flavors are amazing. My friends and family and i are not afraid of bold bourbon flavor. But each time I’ve made it, it’s come out with too much liquid. We live at 9000 feet so not sure if it’s an altitude thing? I’m going to try reducing the liquids but don’t want to lose the flavors (especially the bourbon). Any suggestions? We really enjoyed this pie! I made it with small, tart apples from old apple trees I found at the side of the street. My to-go crust is Cook’s Illustrated foolproof vodka crust., and I used hard cider. Made a few minor changes: reducing the sugar in the crumble, adding 1/2 tsp orange zest to the Bourbon cider syrup, and exchanging some for the AP flour for Einkorn flour. Looks delicious! Would this work as an apple crisp if I forgo the bottom crust? This was a HUGE hit for my birthday party (last September). 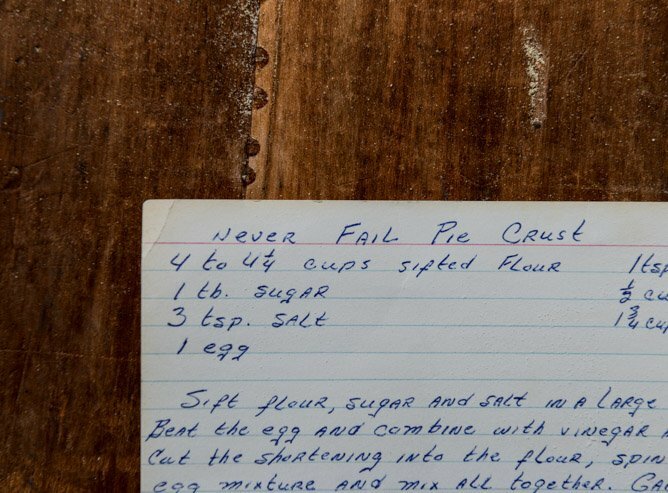 I also love making three pie crusts….in the food processor! My life is changed! Attached is my blog post on this recipe. I love your blog and always love your posts! Thanks so much for sharing! 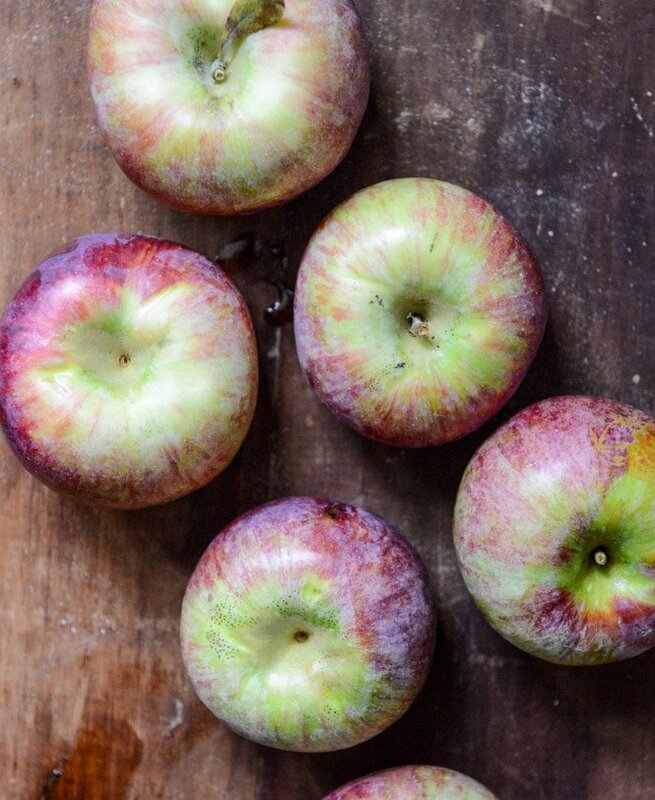 Is there an apple that you recommend for the pie? Just made this and it was delicious! I left out the apple cider based on some of the other reviews. It turned out perfectly. Will definitely make this again! Is there a way to substitute the bourbon? I made this tonight, and it is SO good!! Thank you!! I don’t have bourbon so I doubled the cider. 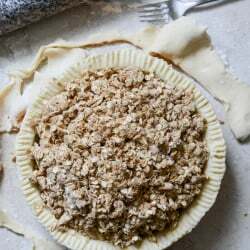 It has such great flavor, and the crust and crumble are delicious. Blew my mind, so delicious and flavorful. 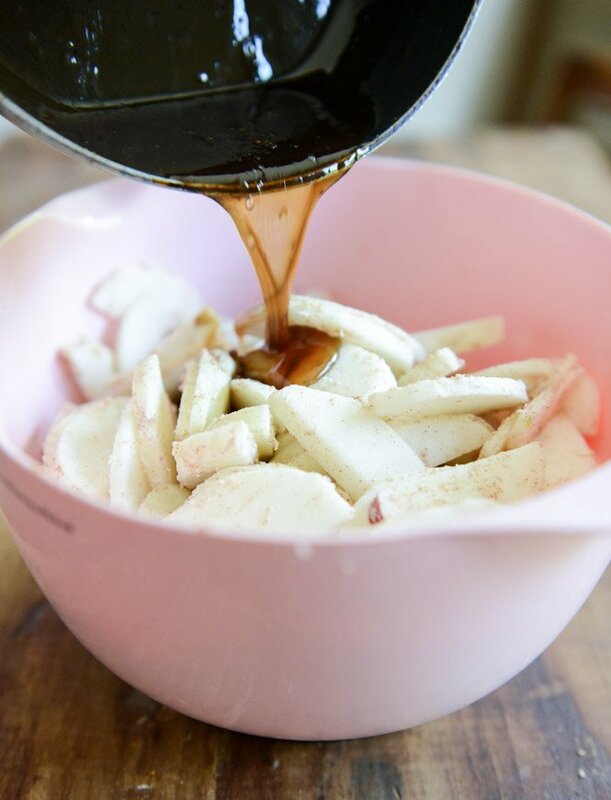 My favorite Apple pie recipe now. The pie is delicious. I used whiskey in place of bourbon and pressed apple juice instead of cider. I only had a bite at Thanksgiving before it was gone, so tonight I made another one for myself and 2 guests.